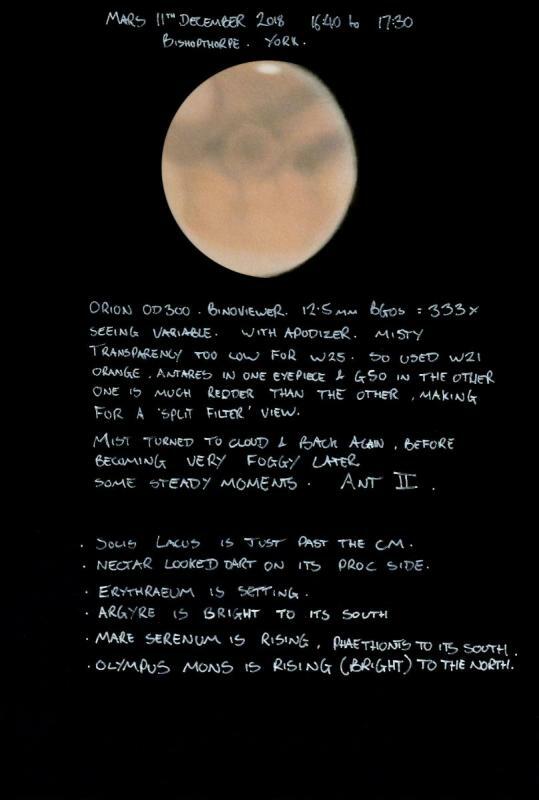 Here are my Sketches of Mars from December and the first part of January. A new dust storm has been active on Mars since 5th January, at first it was only visible to observers in Asia, but is now visible from Europe too. 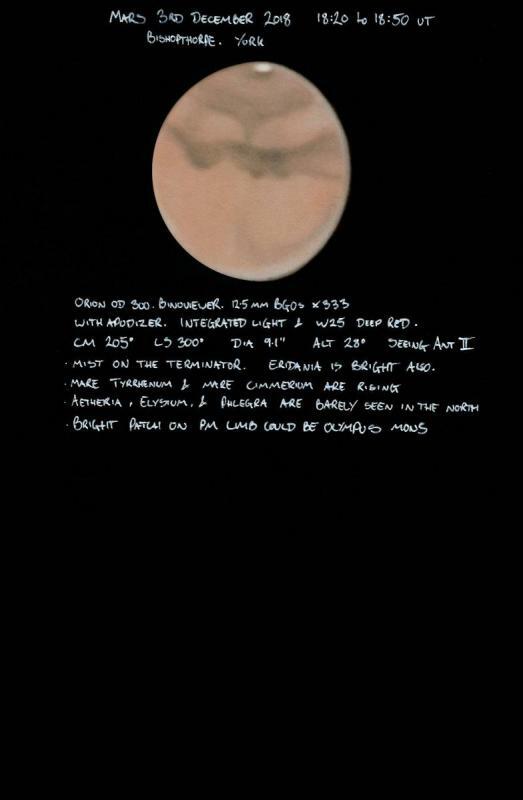 In my January sketches I have shown bright yellowish areas in Argyre and through Chryse and Erythraeum. 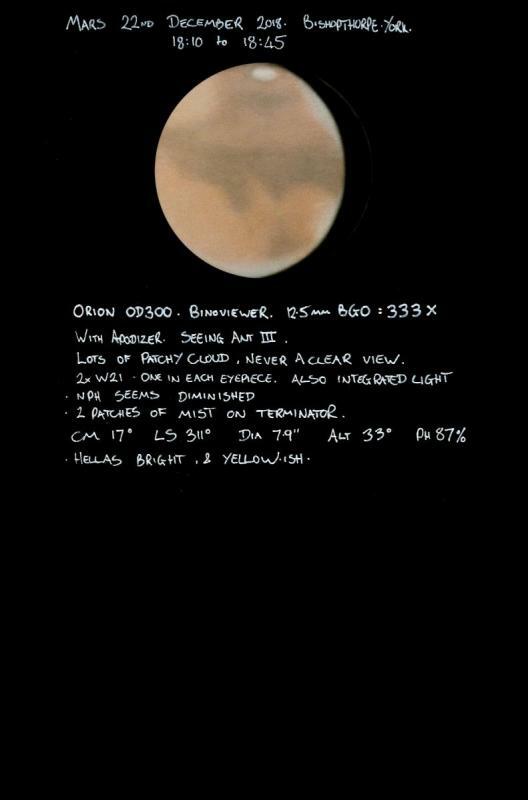 I can't be certain that what I have seen is the dust storm: the disc is only 6" in diameter now and even with good seeing this small size makes certainty over anything difficult to claim, but I do have reasonable confidence in these observations. The entire Christmas holiday was cloudy here, as well as most of January so far, there were the only two properly clear evenings I have had in this period. 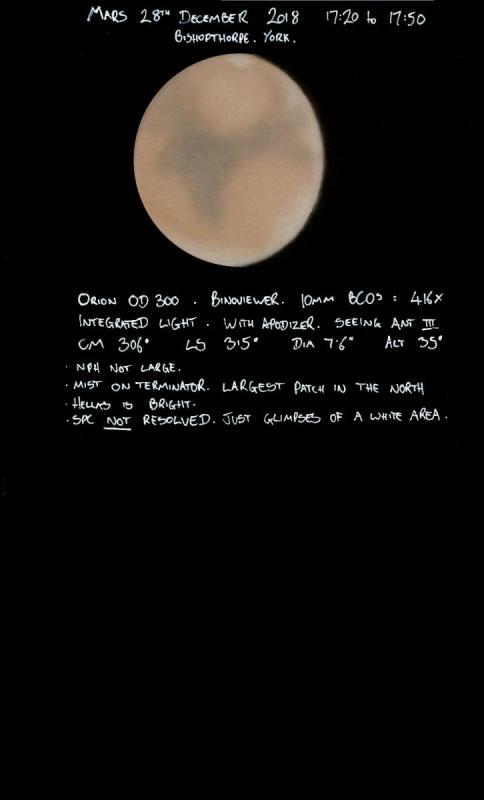 Luckily they corresponded with me home from work early on those two days, and the seeing was good, and the dust storm was visible from the UK. It's not often that circumstances all line up that well! 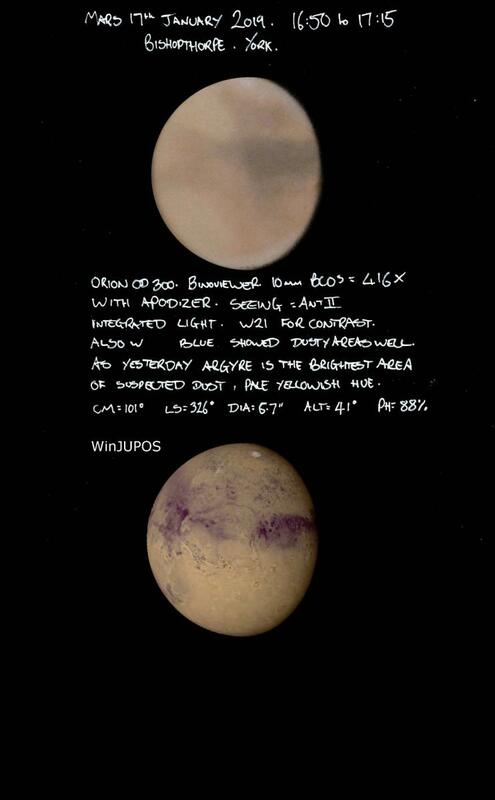 Nice sketches of Mars December and January, (with new Dust Storm) . 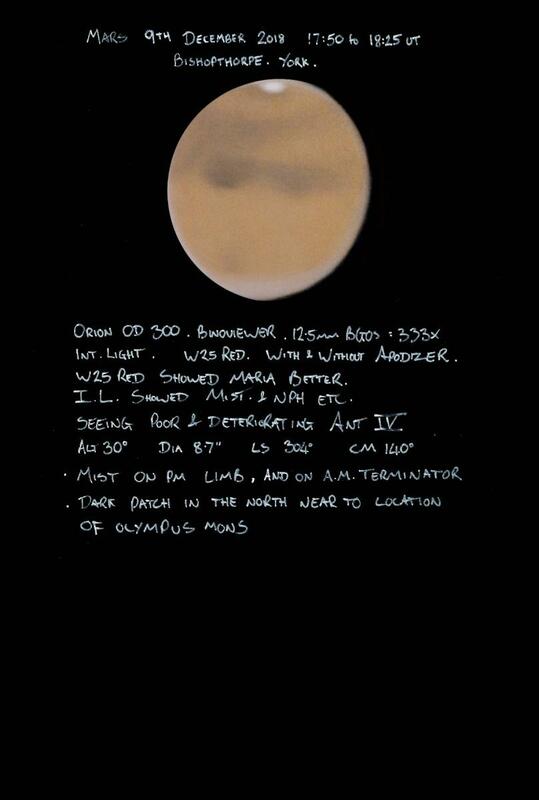 I really enjoyed looking at your outstanding series of Mars sketches. Fine observations and nicely rendered--well done! 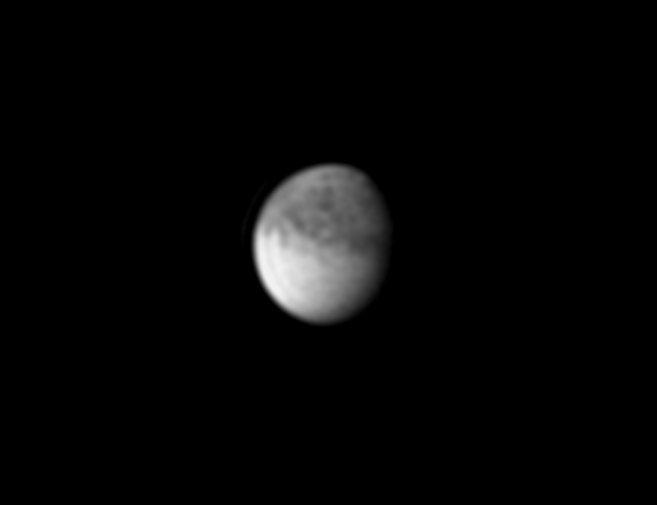 image hereafter with a IR685 (picked-up from the AS site: bravo for the imager Michel). 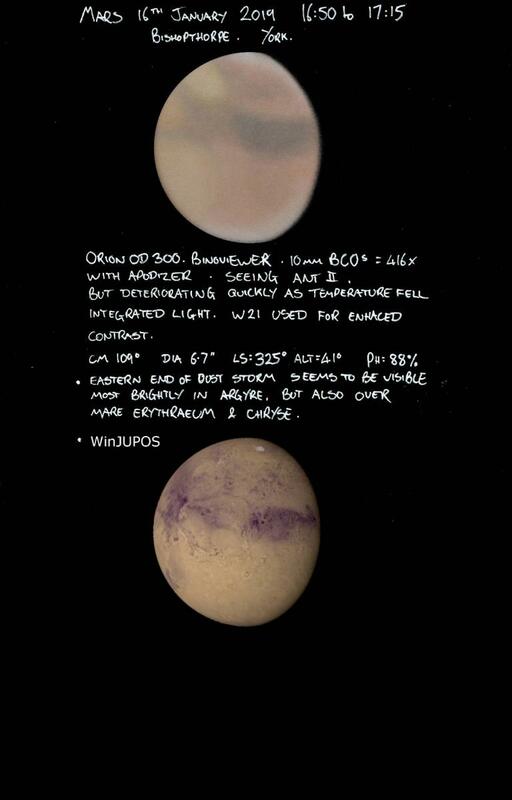 This should show any dust storm (as well for the RGB pictures). So where is the dust storm ? Perso on 17 and 18th, didn't see such storm under similar CM.